The tree care industry is experiencing a shortage of skilled arborists throughout the nation, and specifically in Wisconsin. As the industry continues to grow, the number of university and technical school trained arborists has remained static. This has created critical staffing shortages for many companies in Wisconsin. First Choice Tree Care is one company that has built its reputation on the skill of its workforce, and continues to look for qualified arborists to join its team. 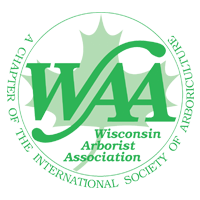 To address the skilled arborist shortage issue, The Wisconsin Arborist Association, the State Technical Colleges and the Wisconsin Department of Labor – Bureau of Apprenticeship Standards worked together to develop a nationally recognized arborist apprenticeship program. The program, called the Wisconsin Arborist Apprenticeship program, is the first such program in the United States. 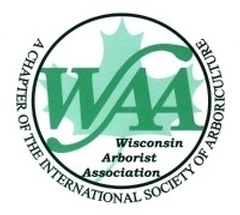 Ken Ottman, President of First Choice Tree Care, is a member of the Wisconsin Arborist Apprenticeship Board. The apprenticeship program recruits employers and apprentices to work together to train highly qualified arborists. The employer registers employees to be apprentices in the three-and-a-half-year program, which consists of on-the-job training and classroom instruction. The program will provide apprentices the scientific background and necessary skills to become a skilled arborist. Apprentices and employers alike will benefit from employee retainment, an attractive package of salary and benefits and career-mapping to ensure program success. First Choice is excited to announce that they will participate in the first Wisconsin Arborist Apprenticeship program. If you know of someone interested in becoming an apprentice, please contact Ken Ottman at (414) 254-5604 or ken@firstchoicetreecare.com. You may also visit the First Choice’s employment section for more information. For more information on the leading-edge Wisconsin Arborist Apprenticeship program, please visit the Bureau of Apprenticeship Standards program website: https://dwd.wisconsin.gov/apprenticeship/trades/arborist.htm.